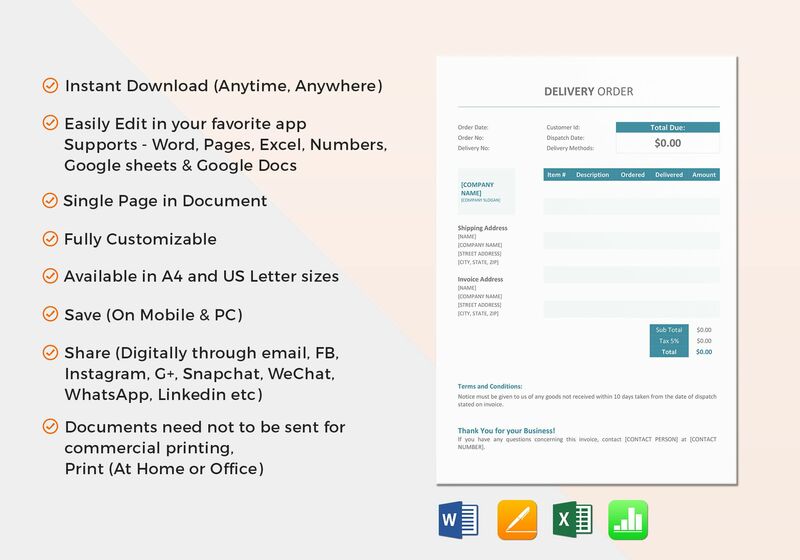 Create efficient and effective delivery order forms with this Delivery Order Template available for instant download anytime and anywhere. 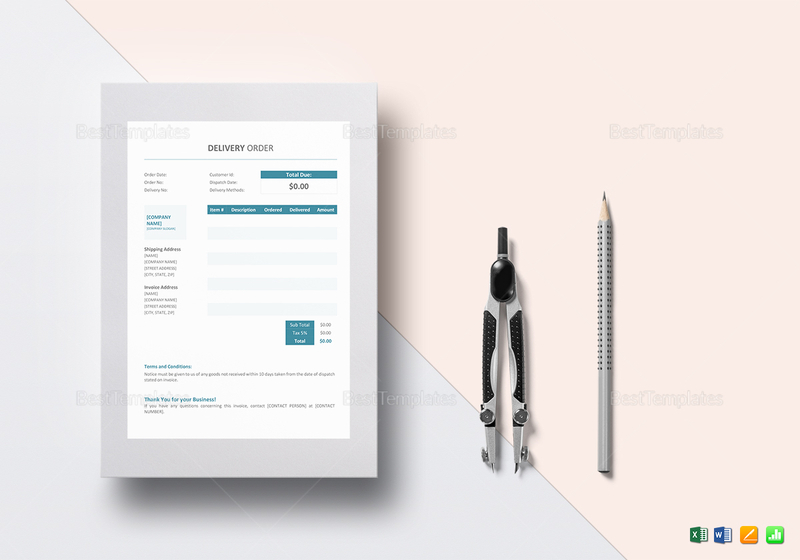 This single page, easy to edit template comes in A4 and US letter sizes. Open using your chosen application compatible with MS Excel, MS Word, Numbers, or Pages file formats and edit by simply substituting your information to the yellow highlighted sections.